View our A-Z directory for companies that strive to support supplier diversity initiatives! 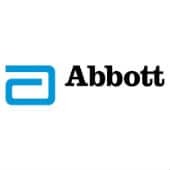 Abbott Laboratories is committed to recruiting people with diverse experiences and perspectives to help us solve some of the world’s most pressing healthcare challenges. We partner with professional and academic organizations to strengthen our pipeline of diverse talent. Please see our upcoming career events for further details. Accenture promotes an inclusive work environment that influences how we run our business. We strive to work with others who embrace our values by growing our pool of diverse suppliers and encouraging our large suppliers to engage diverse organizations on our behalf. Our supplier inclusion and diversity efforts demonstrate our commitment to inclusive procurement practices to create long-term value for our clients and our communities. We focus on minority-, ethnic- and women-owned businesses and those owned by or that actively employ persons with disabilities, visible and otherwise; veterans with and without disabilities; refugees; people geographically remote from labor markets; and lesbian, gay, bisexual and transgender (LGBT) persons. Supplier diversity is a key part of how we purchase goods and services. It helps us to better understand and serve multicultural markets. And it’s critical to our success in a multicultural world. Our Supplier Diversity Program builds solid business relationships with certified minority, women, LGBT (lesbian, gay, bisexual, transgender) and small-business suppliers. This helps them grow and brings new opportunities to communities we serve. Apple requires each of its suppliers to meet the highest standards for all goods and services. Our requirements include a commitment to rigorous quality assurance. 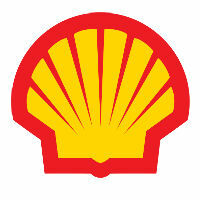 In addition, suppliers must be committed, as we are, to ensuring the highest standards of social responsibility. The ideal suppliers are those who understand our culture and expectations. We value suppliers who take the time to learn about and understand our business and who look for ways to add value. These suppliers know the importance of making and meeting commitments and delivering the highest quality goods and services. 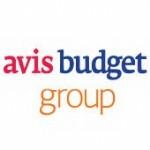 Avis Budget Group is a leading global provider of vehicle rental and car sharing services, operating three of the most recognized brands in the industry through Avis, Budget and Zipcar. 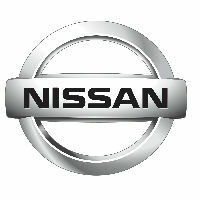 The Company is a leading vehicle rental operator in North America, Europe, Australia, New Zealand and certain other regions it serves. Avis Budget Group and its licensees operate the Avis and Budget brands in approximately 180 countries throughout the world. CenterPoint Energy recognizes the economic importance of diverse suppliers such as minority-owned, women-owned, and all categories of small business concerns to the economies of the nation, the state and the communities it serves, as well as the corporation itself. 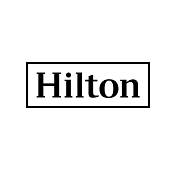 · Sponsorship of various diversity tradeshows including the annual Houston Minority Supplier Diversity Council Expo, the annual Women’s Business Enterprise Alliance Expo, the annual City of Houston Government Expo, Small Business Administration Expos and the Edison Electric Institute Diversity Expo. Denny’s believes that strength is derived from the diversity of our customers, employees, suppliers, franchisees and other partners across the country. To us, creating an inclusive company that reflects our diverse customer base is good business and it has a significant, positive impact in the communities we serve. Our commitment to diversity over the years has earned us a number of national awards and recognition. 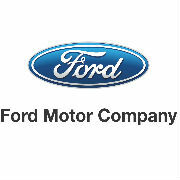 We don’t just build cars at Ford. Our global community is a fundamental part of who we are, so we’re working to support hunger relief, encourage safe driving habits, introduce education innovations and much more. At GEICO, the opportunities to grow your talents go beyond what you ever imagined at an insurance company. Let’s get started on your journey. 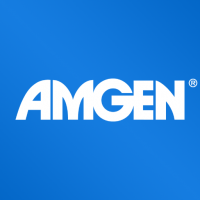 Whether you’re a college graduate or an experienced professional, we’re hiring in a variety of career tracks and offer a supportive workplace that encourages success. 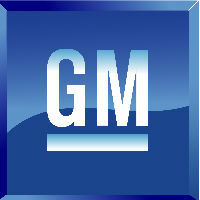 General Motors Company, commonly referred to as General Motors, is an American multinational corporation headquartered in Detroit that designs, manufactures, markets, and distributes vehicles and vehicle parts, and sells financial services, with global headquarters in Detroit’s Renaissance Center. 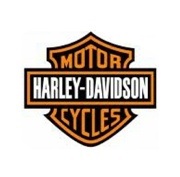 We believe in revving-up opportunity every chance we get. That’s why working with minority and female-owned companies is part of our business strategy. Increasing our business with minority and women-owned companies’ means: Allocating resources to support procurement decisions. Training our employees to actively cultivate productive relationships with diverse businesses. Partnering with diverse organizations to get the message out. 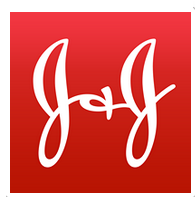 It means creating supplier diversity traction so results happen. At Honda, our Supplier Diversity initiatives support the development of small, minority and women-owned businesses by creating opportunities to introduce themselves and their businesses. We look for suppliers who provide quality products and services at a competitive price and help us carry out our commitment to quality and customer satisfaction. Ultimately, Honda’s goal is to develop a relationship with supplier’s who are as dedicated as we are to our overall diversity strategy, resulting in ways to help us become more efficient in ensuring extreme customer satisfaction. 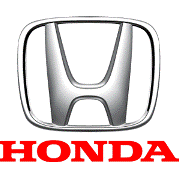 Honda suppliers are a critical part of our business success. We are a leading global company unified around a shared commitment to being successful and respected by operating safely and sustainably, using all resources responsibly, and strengthening our people and communities where we live and work. International Paper has been committed to supplier diversity for more than 30 years. 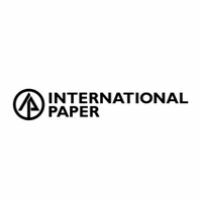 Having a diverse supplier base enables International Paper to contribute to the economic well-being of the cities and towns where we live and work as well as increase access to suppliers that provide products and services to International Paper. 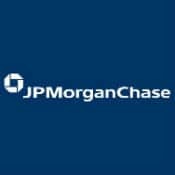 JPMorgan Chase has been fully committed to Supplier Diversity for over 20 years, including establishing positive relationships with other companies and organizations that are equally dedicated. We have created a Supplier Diversity Network (SDN) through which certified Minority-, Woman-, Veteran-, Service-Disabled Veteran-, Disability-, LGBT-Owned businesses register with the firm. This network is the preferred resource used to select diverse suppliers to compete for contracting opportunities. Businesses registered in the SDN are required to be diligent in maintaining current and accurate information in the system. This engagement ensures maximum consideration for appropriate opportunities. We have a mission: to be the best home improvement retailer for our customers and our communities; a lofty goal, for sure. But Lowe’s is reaching out, extending the boundaries of our company beyond the traditional retail environment, setting higher standards for the way American business works within our communities. We know that minority- and women-owned enterprises play an important role in the economic development of this nation. We also know these enterprises are significant in providing job opportunities. Our commitment to creating the best quality flavors in the world is fed by our inclusive approach to every aspect of our business. And that includes the diversity of our suppliers. McCormick seeks to contribute to the economic growth of a diverse business community. Our Supplier Diversity Program (SDP) enables us to develop relationships with qualified, diverse businesses that meet our high standards for quality and cost effectiveness. We recognize the importance of diverse minds, experience, cultures and businesses. We are committed to creating an environment that attracts and supports talented people, without regard to race, creed or ethnicity. Messer is committed to leadership in creating economic opportunities for all segments of our regional communities. We believe sustainable change requires strategic relationships and a commitment of resources and capital. Messer’s objective is to grow the resources and capacity within our communities’ minority-owned business enterprises (MBEs) and woman-owned business enterprises (WBEs). 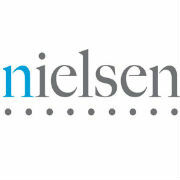 The role of our Corporate Supplier Diversity Program is critical to the overall success of Nielsen, both in its procurement practices and in our role as a corporate citizen. We are building a sustainable, world-class supplier diversity program to move Nielsen towards achieving its corporate objectives of cost leadership, revenue growth, and fostering long-term diverse spend opportunities within the purchasing culture across our company. 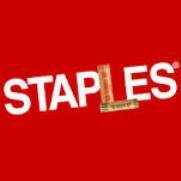 At Office Depot, we are committed to creating an inclusive environment where all people are valued and respected. Diversity is an important dimension of Inclusion, Innovation, and Customer Focus — three of our core values — and keys to our success in a global marketplace. Robert Half is focused on supplier diversity, we believe in building a diverse base of employees, clients, job candidates and suppliers that strengthens our position as a market leader. We are committed to developing successful relationships with minority-, woman-, veteran-, and disabled veteran-owned businesses to meet the needs of our customers. To promote a diverse supply chain, we actively support and engage as members in many organizations, as well as have board affiliations with strategic organizations. In 2011, Robert Half was named the recipient of the Northern California Minority Supplier Development Council President’s Award, which is presented to a corporation that has demonstrated consistent engagement across all levels of the Council, including board of directors and committee participation. A diverse business enterprise refers to a business that is at least 51 percent owned by a member of a minority group, including African Americans, Asian Americans, Hispanic Americans, Native Americans, veterans and disabled veterans. A woman-owned business refers to a business that is at least 51 percent owned by a woman or women. 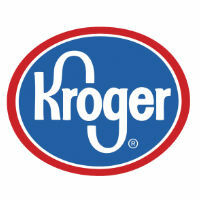 The Kroger Co. (NYSE:KR) is one of the world’s largest grocery retailers, with fiscal 2015 sales of $109.8 billion. The Kroger Co. Family of Stores spans many states with store formats that include grocery and multi-department stores, discount, convenience stores and jewelry stores. We operate under nearly two dozen banners, all of which share the same belief in building strong local ties and brand loyalty with our customers. We believe that working with suppliers who reflect the markets we serve helps build customer loyalty, contributes to economic development of communities and provides the expertise and innovation we need to outperform the competition. It’s these beliefs that inspired the formal launch of UPS’s Supplier Diversity Process in 1992. 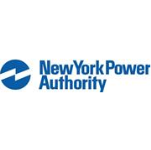 We will have designated employees at the corporate, regional and district offices who assume the responsibility of reviewing business opportunities for your company’s products and/or services. With regard to diversity and inclusion at the SEC, the agency is committed to providing a workplace that includes people of diverse backgrounds and fully utilizes their talents to achieve its mission. 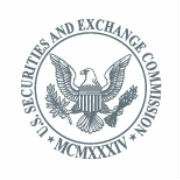 The SEC believes that a diverse workforce and an inclusive workplace culture enhances the performance of our organization and our ability to fulfill the agency’s mission. OMWI is committed to taking steps to make sure that minorities and women are represented at all levels of the agency’s workforce, including in supervisory and management positions.